Self portrait by Kalman on right. 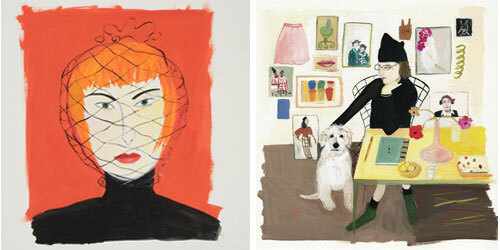 Illustrator, designer and artist Maira Kalman has long been a heroine of mine. 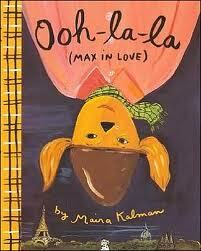 If you have kids you might recognize her children’s books like Max Makes a Million. 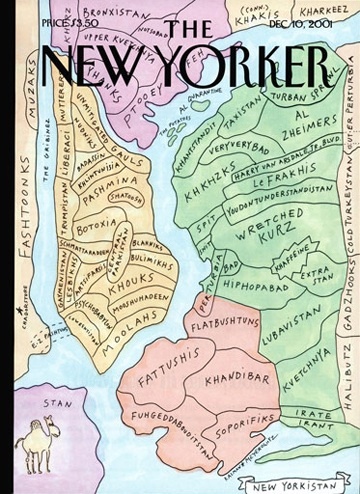 If you read the New Yorker, you already know her covers. The San Francisco Contemporary Jewish Museum is exhibiting the first-ever show (of thirty years) of her work. Because of that, and because the man in the cafe just gave me a free Coke, this is my new favorite museum. I have been trying for a week to get here, taunted by the brightly colored ! 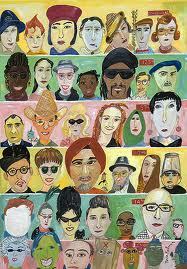 !Maira Kalman Exhibit!! banners flapping from virtually every lamp post in downtown San Francisco. When my Bay Area trip got unexpectedly extended a day, I made a beeline over the museum, even catching the once-weekly docent tour of the Kalman work. We have both created a piece of art from onion rings. We both collect string, rubber bands, old boxes, and she collects ladders, which I would if I had that kind of space. She says she finds 500 things to draw or write about on a simple walk. So do I. And let me tell you I am pretty frustrated not to be her and to get paid to actually do it. 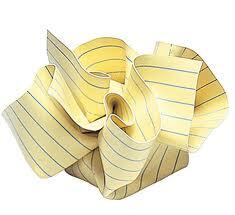 She loves Abraham Lincoln, stationery stores, Saul Steinberg, Ludwig Bemelmans (Madeleine books) and Gertrude Stein. She loves being an entrepreneur and once ran a store called Milton that changed every day. THAT CHANGED EVERY DAY. I did not even know that. You are my (funnier, more creative) twin separated at birth. Except I have neater handwriting. I changed it when I turned 40. I had to. The ligatures were killing me. I deliberately left my email as my signature. I hope she contacts me and offers to work together. Stranger things have happened to me. Sally…you will not regret the visit. Superb show that she personally curated. 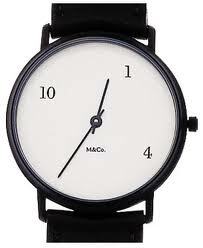 A month ago I bought the M&Co Scratch watch. I love it. Our onion ring art was virtually identical. Rows of onion rings mounted for posterity in a simple grid pattern. The only difference was that Maira’s were preserved and golden crispy rings (decades old), recognizing Tibor’s love of the fried snack. Mine were lopsided, black, burnt-to-the-crisp mistakes that I assembled as a joke, when my roommate attempted them for the first time (and failed). I did not hang onto that masterpiece like Maira did.